In the third course of this 5-part series, Sibelius 7 Master Thomas Goss tackles jazz, with its intricate melodies, special articulations and chord notations. In this course, hipster Goss has arranged an original jazz quintet to help you on your way to becoming a jazz notation ninja. First you’ll listen to and study his 2-part composition. Then you’ll dive right in as he guides you through the various levels of jazz notation. 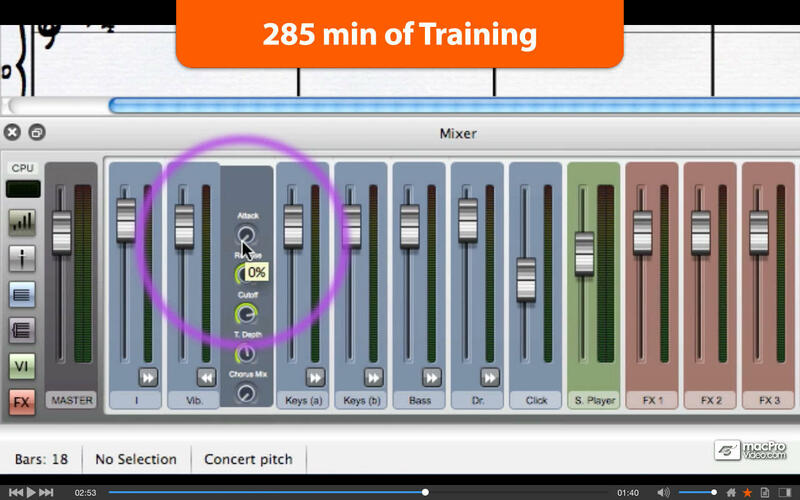 You’ll learn notes and chords, dynamics and phrasing, text expressions, and inputting complex chord symbols. You’ll also get some neat notation tricks to help you with tempo changes and instrument changes in Sibelius. • Improved User Interface and Experience. 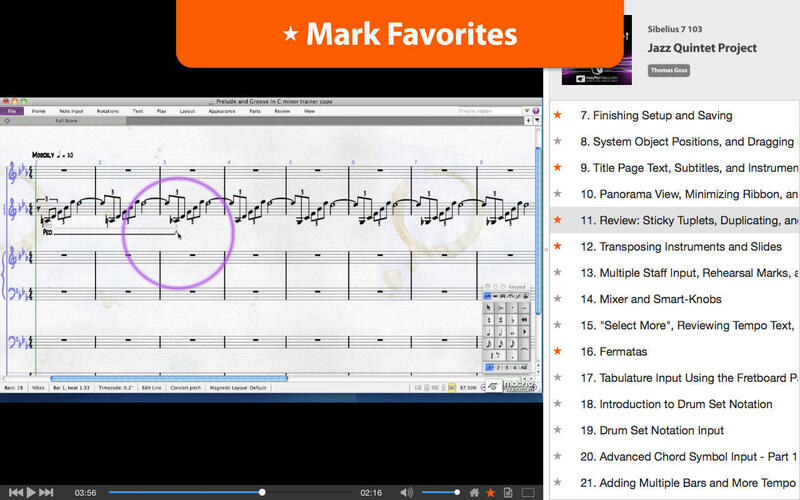 • Add your own notes to individual tutorials. • View the outline and jump to any tutorial while playing video or from the Home screen. • Mark your favourite tutorials. • Take your learning experience full screen. • Hide or show the tutorial outline whenever you want. • Compatible with OS X Mavericks (10.9), Yosemite (10.10), and newer.